Hint: try adding Sliced Green Jalapenos™ to spice it up or Squeeze Sour Cream™ to cool it down, or if you want another excuse to enjoy the cranberry sauce then why not drizzle some on top! Cut or tear up your leftover turkey breast, add a splash of oil to a sizzling hot pan and flash-fry the turkey until it’s completely heated through. Add to this your sliced onion and your festive veggies (courgettes, onion, carrots, will work great). Next, pour your Smoky BBQ Fajita Seasoning Mix over the meat and veg and let it all sizzle away, stirring occasionally to ensure that all of the meat and veg are covered evenly. You can now add any leftover stuffing to the pan - just break it up into small pieces and stir in. Or you can heat it up separately for approx. 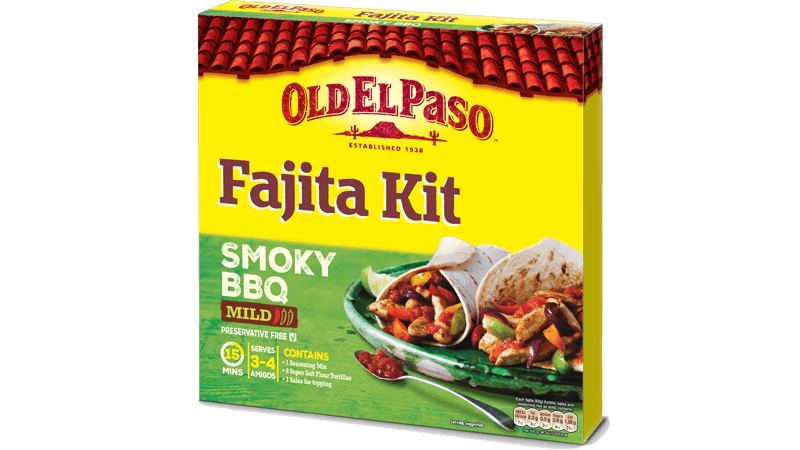 30-45 seconds in a microwave, using a microwave safe container and just add into your Fajitas when ready to serve. Lastly you will need to warm the tortillas by piercing the packaging and microwaving on full power for 35-40 seconds (cooking time may vary depending on microwave). Or heat in the oven, simply remove packaging, separate tortillas and wrap in foil. Turn the oven to 200°C (180°C for fan assisted ovens), gas mark 4 and slide in the tortillas for 10 minutes. Keep them covered and warm until ready to serve. 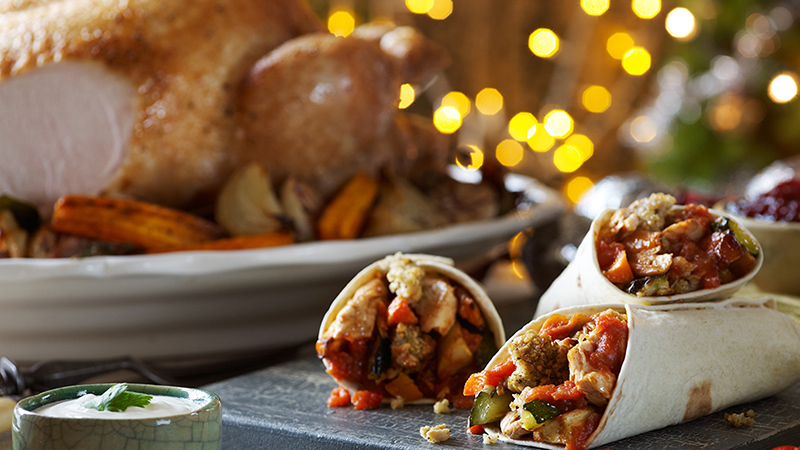 Now just round up your amigos and load up the warm, Soft Flour Tortillas with the Smoky BBQ turkey and festive Christmas veggies, and top up with some tasty warm stuffing and get stuck in together to this Mexican Boxing Day leftover Fajita feast. Hint: Try adding Jalapenos to spice it up or Cooling Sour Cream to cool it down, or if you want another excuse to enjoy the cranberry sauce then why not drizzle some on top!